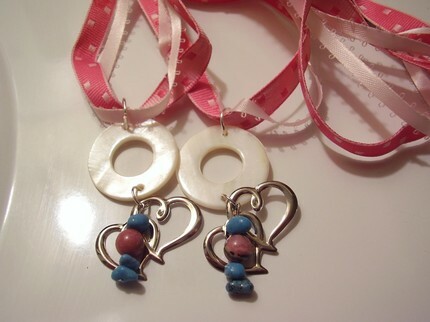 Awareness Jewelry I believe is one of the best ways for a jewelry designer to contribute to a cause for two reasons: first reason being is you are raising money for a cause you believe in, but secondly you become more connected with the cause by making jewelry in support of it. It really makes me feel like I am doing something special and making a statement with my unique awareness jewelry that shows I do believe in this cause with my heart and sole. With me, Drug Addiction is a strong cause I believe in, and wish that there were more funds available for those who need help but can not afford it. Often times people want to quit but without the proper resources or financial help these people can’t stop — since their body craves it even though they know they are hurting themselves, hurting others, and just want to stop but they can’t. I lost a very dear friend of mine to drug addiction, and hate to see others have this pain. It was a horrible path to watch and it saddened me that I could not do anything to help. With awareness jewelry I feel like I can now make a statement, I too can help raise money for those who can not afford to reach out and get help. I feel there should be more affordable health care options for people who are fighting addiction whether it be to drugs or alcohol. where I will be debuting my drug addiction awareness jewelry in the next couple of weeks.